LET US HELP YOU TEAR DOWN THAT WALL! 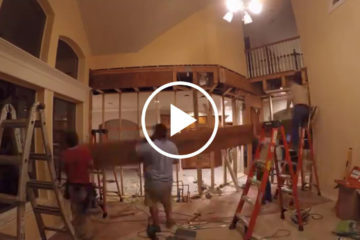 This time lapse video shows our work on a 1990's two-story house in Flower Mound Texas. Removing (3) load bearing walls and installing (3) engineered LVL wood beams took us 12 hours and cost $7,000. Save yourself from thousands of dollars of damage and let us do it for you. We specialize in load bearing wall removal, that’s all we do, and nobody does it better. In most cases, our structural work is a one day project. (Add 2-3 days for electrical wires, switches, and plug re-routing, and for Sheetrock tape/bed and texture). We are extremely cautious with your home and its contents. We take dust control during our contractor work very seriously. We give a 10-year, written, transferable structural warranty with clearly stated tolerances on plumb, level, bending, and bowing. Our $2,000,000 general liability insurance policy specifically covers load bearing wall removal. Unless the contractor specifically requests load bearing wall removal coverage, there is most likely an exclusion written into their policy that would deny a claim resulting from load bearing wall removal. The materials we install in your home will be spec'ed by a licensed structural engineer. There's no guessing or hoping that we use the right product! Unlike general remodelers or new construction framers, load bearing wall removal is our specialty. We remove load bearing walls each and every week all over the Dallas/Fort Worth metroplex, not just 2 or 3 times a year. We can provide several references for completed projects in the last 60 days. We're happy to share our list of highly qualified sub-contractors here in DFW that can follow behind to make your home a real showplace. Load Bearing Wall Pros is a load bearing wall removal contractor in Plano, Texas, specializing in wall removal. Our business is all about SAFELY removing load bearing walls to open up floor plans. With over 2,900 load bearing walls removed since our 2007 beginning, we are the Dallas/Fort Worth authority on structural wall removal. Taking down walls is all the rage on the Home and Garden channel, but get it wrong and you will have more than egg on your face. Why would you let “2 Bucks in a truck” perform the equivalent of open-heart-surgery on your home??? Don’t lay down at night hoping they got it right; bring in the Load Bearing Wall Pros and have the peace of mind knowing it was done correctly. Reach out to us for free consultation and evaluation of any concerns you might have regarding the structure of your biggest single investment. In most cases with a 4-6 minute conversation we can give you a ballpark price over the phone. One significant difference in our company and the standard “Framer” is that we are well schooled in working in occupied homes. While wall removal is a messy process, we remain conscientious of your home and your possessions. A clean jobsite is a happy jobsite. These guys are EXCELLENT! They are professional, efficient, and are more than reasonably priced. I could not find any one reputable that removed walls and the search was getting very frustrating. Jason and his crew were incredible and I am so happy I found them. I would definitely use them again and recommend them if you want to open up any rooms or give your home or office a stylish new look and feel by being more open. Thank you! We have used Load Bearing Wall Pros exclusively for our wall removals and also our load support framing. Their work has met our expectations each and every time we have used them! 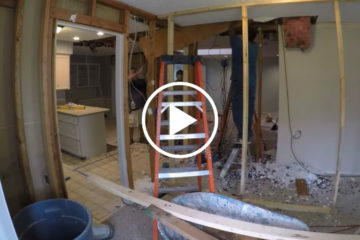 Wow, what a difference taking walls out and opening up the floor plan makes! These guys make it look way too easy. As a real estate broker and real estate investor, we have come to rely heavily on the guys at Load Bearing Wall Pro’s. Having done 10+ projects with these guys, we consider them an integral part of our team. Their work has made a HUGE difference in how quickly our houses sell! I have recommended them to buyers and sellers alike and have gotten rave reviews on their work. Agents and investors would do well to involve these guys on their next transaction!! Punctual AND professional, what else can I say? I had a great experience with Jason Hulcy and his crew from Load Bearing Wall Pros. First of all, I don’t think you’ll find anyone in the DFW metroplex that has as much experience as they do when it comes to removing load bearing walls. This is their specialty and they have done hundreds. Jason’s foreman, Jared, was very knowledgeable and took the time to explain things to me and answer all my questions as we went. I felt like he had an eye on everything that was happening and the project was being well managed. The whole crew was very respectful and hard working. They have to be to remove two walls and install an 18 inch double wide beam all in one day. Part way through the job Jason noticed a slight change we could make to the beam mounting point that would give us a little more floor space and open things up a tad more. It was different than what we originally planned but he gave me the option and I agreed it was better. The change resulted in more work for him but he didn’t charge me a change order and was more than willing to do it because it produced a better product in the end. When it was all done the beam tucked away out of sight and the new open floor plan looks great. I give these guys an A+. Like the other reviews I also have a 70’s style ranch that I wanted to open up. Jason came and said it wouldn’t be the problem that I thought it would be. I had three other contractors give me a quote and he was the best. The work was fast and exceptional. My neighbors saw the remodel and have decided to also use Load Bearing Wall Pros. Can’t go wrong using these guys! We had Load Bearing Wall Pros took out the wall between our living room and kitchen in our 70’s ranch. It opened up the whole front of the house. It looks great, and it was done 1) quickly, 2) professionally and 3) with skill. They took out the wall, added a beam in the attic to account for the load and cleaned it up like they were never even there. A couple of years later, no problems with the work, still looks great. I’d use these guys again in a heartbeat. We have a 70’s ranch style home that was in need of updating. That’s putting it lightly. I heard an ad on 1310 the ticket radio and thought I’d give them a call. We have been wanting to open up the living area for a couple of years. 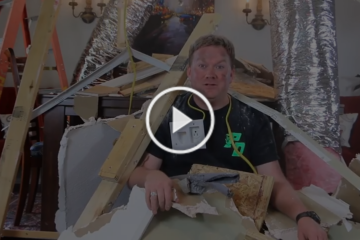 Jason from Load Bearing Wall came out to evaluate what we could do about a load bearing beam that ran through our living room. We have 8′ ceilings and this beam dropped down another foot. Jason took a look at it from below and in the attic and told us the good news. The beam was out and replaced with a much larger beam in the attic. The original beam was sagging about 1.5″ in the middle. The room looks so much bigger. The ceiling is still 8′ , but without the beam looks like 9′. The price was very reasonable and Jason, Jared and Hugo (and several other efficient workers) got the job done very quickly. We highly recommend Load Bearing Wall Pros. OUR BUSINESS IS TO MINIMIZE YOUR RISK WHEN MAKING MAJOR STRUCTURAL CHANGES. "We are so proud of our contractors! We can only change the industry if we pick the right people to be on the team. We can't guarantee that you will have the perfect experience every time, because anything can happen in this world, but we will guarantee that the final product will be quality and the contractor will be held accountable to deliver as promised. If the contractor fails to do what they were contracted to do, then we will pay up to $10,000 out of our own pockets to fix the issue. We believe this is the example of true accountability and responsibility!" Load Bearing Wall Pros is owned and operated by brothers Jason and Jared Hulcy. Jason and Jared bring a combined 21 years of experience in the construction business to your doorstep, ready to tackle any structural framing challenges you may have. Need Help House Flipping in Dallas? © LOAD BEARING WALL PROS. All rights reserved.